Insert cloves into center of orange slices. Combine all ingredients in a large pot and bring to a simmer. Serve warm . 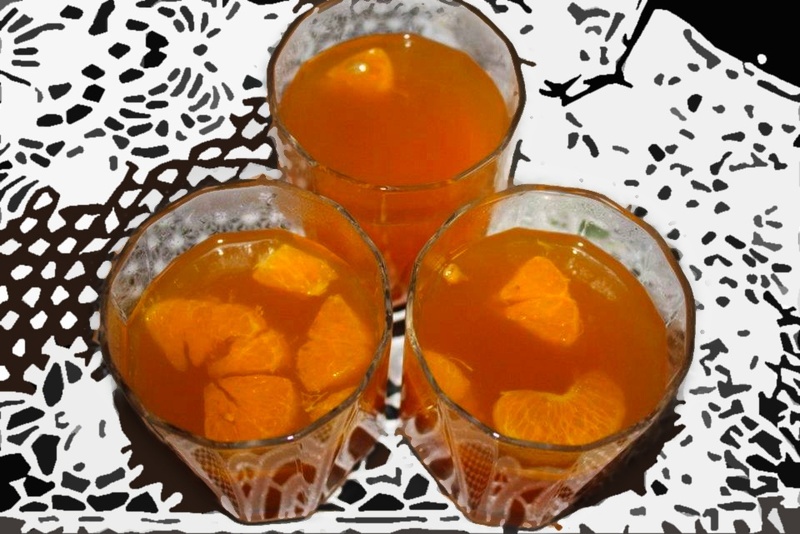 This entry was posted in All Recipes, Drinks and tagged hot drinks, Rum Punch by Kamakshi. Bookmark the permalink.